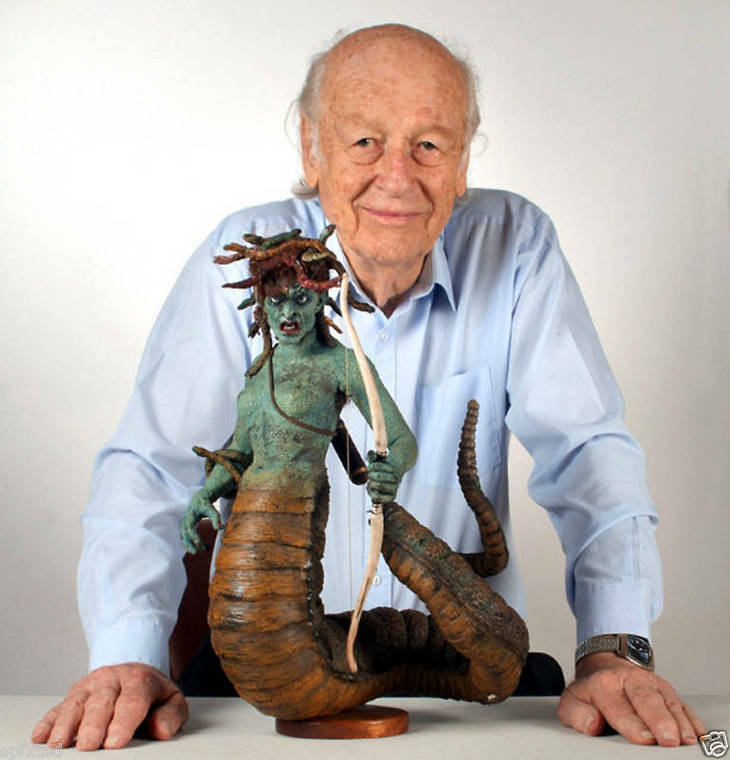 This morning I was sadly made aware of Ray Harryhausen’s death by Clive Hicks-Jenkin’s marvelous tribute to the great artist. Later over breakfast I read the details in this morning’s New York Times. A great man has died but his work will continue to inspire. It is blatantly obvious that Harryhausen has been a tremendous personal influence ; a boyhood crush on his Jason and the Argonauts (1963) introduced me to a world previously unexplored. Edith Hamilton with all of her literary skill was unable to tickle this little boy with sheer visual delight the way Harryhausen did. I was a snotty child and I distinctly remember chastising the film for its inaccuracies; it was not in accordance to Bullfinchian orthodoxy. Yet I sat entranced, I suppose it was the loincloths. His work continues to influence me, so much so that the wonderful portrait of Harryhausen with his gorgeous Medusa was found in my resource file for the making of my painting Andromedus. His greatest influence upon my work was his keen sense of unworldliness that I so admire; recognizable in time and place yet clearly rooted in the terrain of dreams. I try to capture that otherness and now with his passing I am more determined than ever to explore it. My work , like Harryhausen’s has a certain “cheesiness”, I’m not unaware of that. 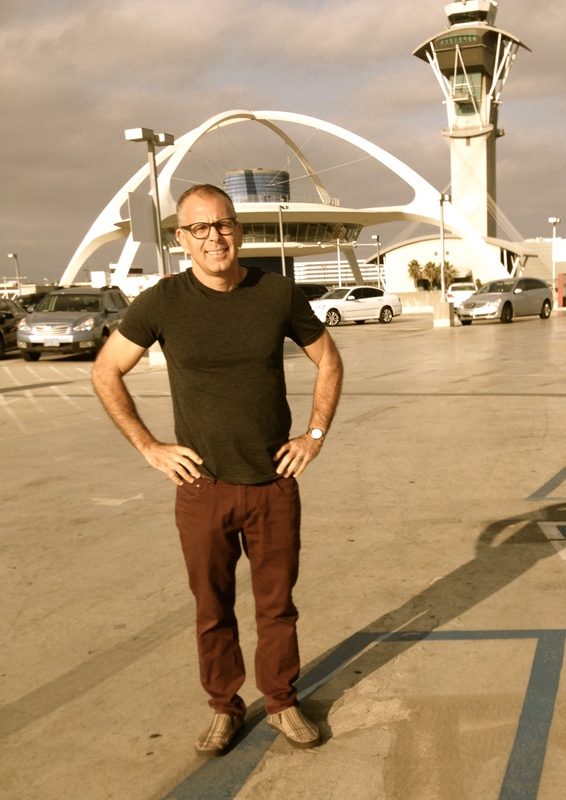 My avoidance of banal realism has in part been due to a lack of interest (and skill level) in examining the everyday. Harryhausen’s delight in the mythical, the wondrous, encouraged me to continue on the fanciful, Symbolist path. Harryhausen avoided the mundane and left behind a glorious legacy, I thank him for that. Very nice tribute, thank you.